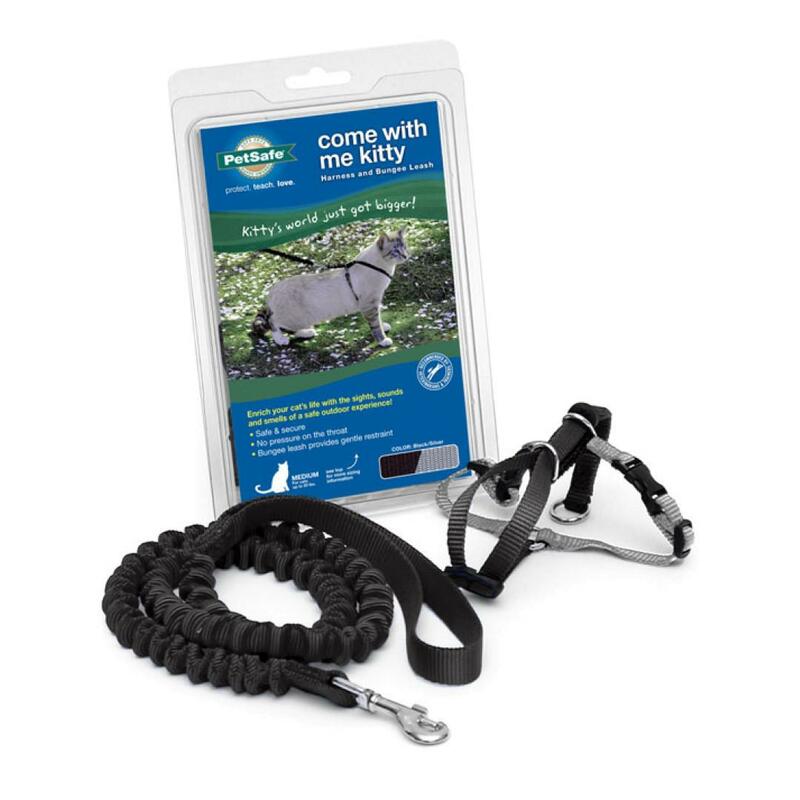 The Come With Me Kitty Harness and Bungee Leash in Black and Silver helps your indoor kitty safely enjoy the great outdoors. 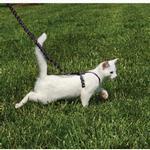 Come with Me Kitty Harness & Bungee Leash - Black/Silver Customer Photos - Send us your photo! 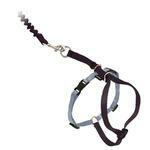 This is a good starter harness/leash for your cat. Hmmm. The directions do not show how to get this leash on my human-Mom? Posted On 05/30/15 by Laura E from Oakhurst, TX Yes, Laura E recommends this product! Good item to take pet outside but not worry about them running away, getting lost or hurt. Got for a friend who lives in apartment in busy neighborhood. I love the quality of the garments you sell. I am a new customer. I have called in, I believe, 3 orders so far and just did my first on line order tonight! I really appreciate the people that answer the phones, so sincere and wonderful to talk to. Tammy comes to mind.